One of Vauxhall’s mainstay vehicles, the classy Corsa is renowned for its distinctive attitude and snappy performance. 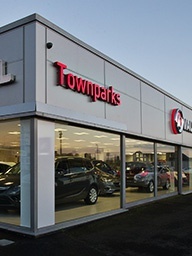 Now in its fifth generation, the Vauxhall Corsa is available at Townparks Vauxhall in Northern Ireland. The Vauxhall Corsa is highly customizable thanks to an array of ten colours to choose from, as well as wheels of up to 17 inches in size. Available both in three and five-door models, the Corsa’s looks are an embodiment of all the nameplate’s reputation, with sloping lines and confidence being at the heart of the model’s distinctive appeal. Passengers and drivers alike will love being inside the Corsa, thanks to its spacious interior. Premium upholstery and thoroughly comfortable seats will leave everyone satisfied and relaxed. Practical as well, the Corsa can accommodate 285L of luggage, which can be topped up to 1,120L with the rear seats folded down. You’ll be spoilt for choice when it comes to picking an engine for your Vauxhall Corsa. With as much as 150PS available on select trims, the Corsa can be as powerful and efficient as you want it to be. Standouts include the three ecoFLEX units – two petrol ones available in a 1.0-litre capacity with 90PS or 115PS, and a 1.3CDTi diesel version that comes with 95PS. However, power isn’t everything, which is why the Vauxhall Corsa offers a purpose-built suspension that delivers superior handling and a comfortable drive.  The Vauxhall Corsa has the convenience technologies to match its looks. A host of features available throughout the range such as Ambient LED lighting, an IntelliLink infotainment system with phone connectivity and Electronic climate control will turn the daily commute into something worth looking forward to. You will be safe and sound inside the Vauxhall Corsa, with safety technology such as Hill Start Assist, Traffic Sign Recognition and Lane Departure Warnings looking out for you alongside the six airbags available. Get in touch with Townparks Vauxhall in Northern Ireland today to learn more about our favourite city hatchback – the Vauxhall Corsa. You can contact us by phone at the number provided or by filling in the available online enquiry form.